iPhone: Number not available. Which number would you like to send the message with? 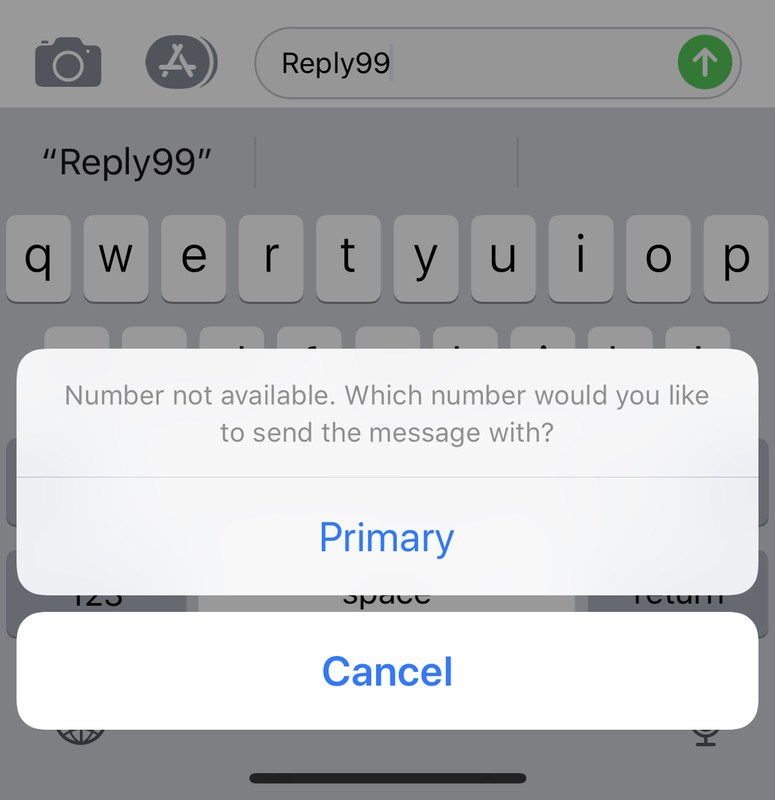 The following message pops up when you are replying to an SMS or MMS conversation on an iPhone from a number that wasn’t the original recipient number of the message. Number not available. Which number would you like to send the message with? For example, if you have two active SIM cards in two seperate iPhones and you are sycning them together using “Text Message Forwarding” you will recieve SMS messages for both SIM cards on both phones. This can be very convenient for business phones. You can get all of your messages on both phones! Unfortunately, if you want to reply to the business-related message conversation using your business line, you will have to switch to that line or you can reply with your “Primary” line, but the recipient of the message will likely see it as a reply message from another number.